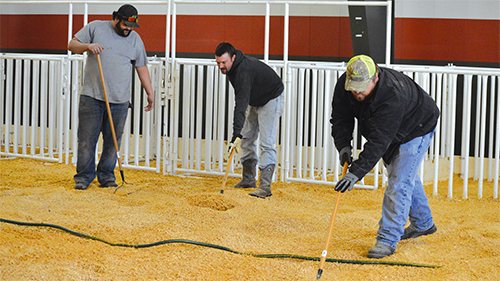 The 2016 Bi-County Junior Livestock Show wrapped up Saturday night following thelivestock auction and sale. 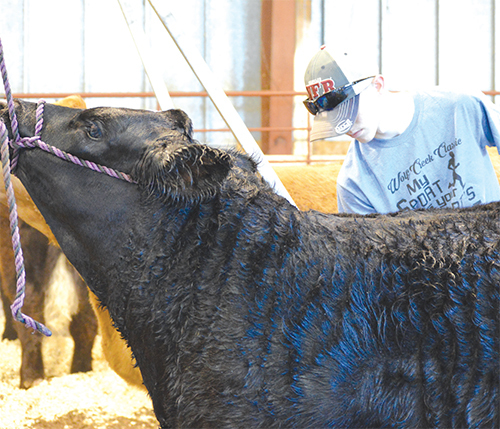 More than 230 youth in Dallam and Hartley Counties exhibitedtheir animal or animals over the course of the weekend with hopes of earning a first placeribbon or better yet, a grand champion banner. 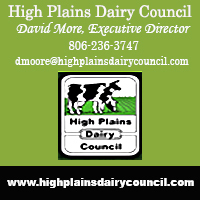 The Dalhart City Council metTuesday night, January 12, for theirregular meeting. Both the Dallam and Hartley CountyCommissioners’ Courts met on Mondaymorning, January 11. The Waters of the United States (WOTUS) rule from theEnvironment Protection Agency (EPA) and U.S. Army Corpsof Engineers has faced additional setbacks since it the U.S.sixth circuit court of appeals issued an order of stay October9. The most recent was the passage of legislation by the U.S.House of Representatives to repeal the rule. Landon Swain prepares his heifer for the Bi-County Junior Livestock Show yesterday morningat the Rita Blanca Coliseum in Dalhart. The show kicked off yesterday with the lamb and goatshows. The Dallam-Hartley HospitalDistrict Board met Thursday, January7 at noon. 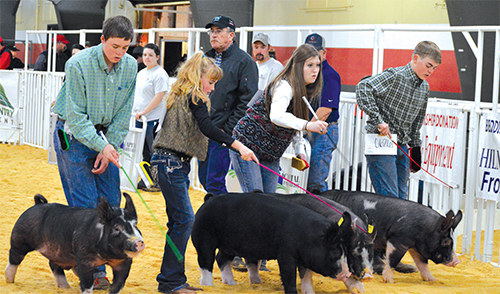 The Dallam and Hartley Bi-County JuniorLivestock Show is set to kick off tomorrow atthe Rita Blanca Coliseum. Friends and family of Corky Cokeand Mike Wall gathered Monday tohonor them at a special retirementcelebration at Rita Blanca Electric.Coke (top) began his career withRita Blanca 39 years ago. Texas has become one of severalstates to file a lawsuit against theEnvironmental Protection Agency(EPA) regarding the agency’s newozone standards rule. President Barak Obama outlined four measures to increase guncontrol across the nation in a live address Tuesday. The executiveorders have drawn the criticism of conservative lawmakers, who statethe measures would violate second amendment rights. Over the first semester of this school year, students at St. Anthony of Padua Catholic Schoolwere getting serious about reading—and serious about meeting Accelerated Reading goals. The Aguillon family rang in thenew year with a new addition to theirfamily. Baby girl Dailynn Brooke Aguillonarrived at 8:17 a.m. Friday morning,making her the first baby born at CoonMemorial Hospital in Dalhart this year. January 2016 is School Board Recognition Month. TheDalhart Independent School District joins other districtsacross the state as they honor the contributions of these locallyelected advocates for public education. A Hartley man was killed in acollision along US 385 early Friday morning. According to reports from theTexas Department of Public Safety(DPS), Ambrosio Quevedo, age 53,was traveling in a 2005 ChevroletSilverado southeast on US 385. 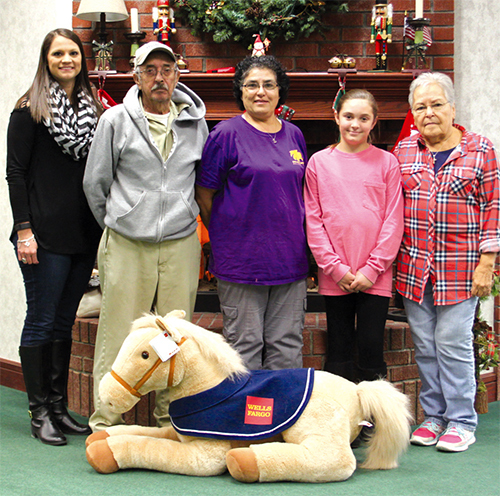 Wells Fargo Bank in Dalhart donated a legendary stuffed horse to be raffled in December.The event marked the first time for a raffle. Every year, right before the clock strikes 12 on December 31, people far and wide make resolutions for the new year. There are some common themes from year to year, with certain resolutions topping the lists. Angels from JBS flew in with a ton of gifts for the 50 local CASA 69 children. The many packages brought screams of delight and Christmas wrapping flew everywhere as excited children opened all the presents employees of JBS sent them. We’ve taken a look at some of the most notable stories of 2015 impacting the residents of Dallam and Hartley Counties.